Britain has gone a full day without using coal to generate electricity for the first time since the 1880s, National Grid says. The energy provider said Friday's lack of coal usage was a "watershed" moment. 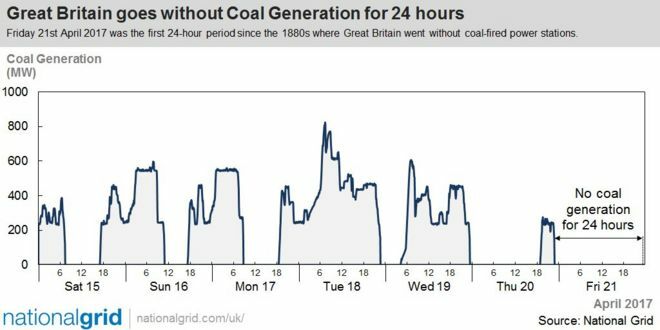 Britain's previous longest continuous energy period without coal until now was 19 hours - first achieved last May, and again on Thursday. The government plans to phase out Britain's last plants by 2025 in order to cut carbon emissions. Friday is thought to be the first time the nation has not used coal to generate electricity since the world's first centralised public coal-fired generator opened in 1882, at Holborn Viaduct in London.